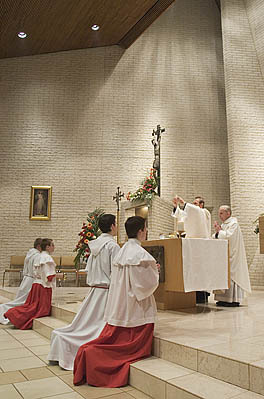 Sterling Heights, Michigan - Mass at Our Lady of Czestochowa Catholic Church, where the mass is conducted in Polish. Fr. Stanislaw Kowalski prepares for communion.